Before planning a trip, you need to know exactly what you can take with you and which goods will have to pay. 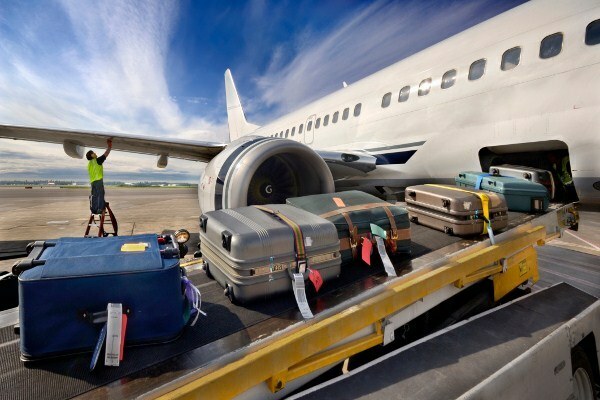 More recently, airlines may restrict not only the weight of the Luggage, but the number of places per tourist. But the weight of suitcases or bags is also important. - floor and table scales. Make a list of items you plan to take to the road. If we are talking only about personal things, then put them all in the suitcase. Get on the floor weightyou without baggage and with every venue Packed separately. Find the difference - this will be the data. Similarly, VZweight, and remove other items that you want to take to the road. For small items, use a table weight. Fold the received weight of all the bags and compare the data with the rules of transportation. On the railroad one passenger is allowed to carry up to 36 kilograms of cargo. Requirements of different airlines vary. But, as a rule, the following limitations apply: in economy class can carry 20 kg, in business class 30 kg and in first - 40 kg. Accurate data on permitted weighthave may be slightly different in a big way. Determine that you will put in the Luggage at the airport, and that will leave as hand Luggage. With you on the plane is allowed to take no more than 10 kg with dimensions up to 115 cm. you Know that the limitations of weightand as checked baggage and hand Luggage. Leave a small margin below the weight of your things were definitely less the limits. If you're travelling with your family, then you have more room to maneuver. But stack your limits is not: make sure each location meets the requirements of the company. Do not weigh objects that can carry on Board free of charge. These include, in particular, include children or wheelchairs and crutches, if they are required by the passengers. In addition, does not require the weighing of outerwear that you take with you to the salon to, for example, put in the place of arrival. Do not count handbags and purses, folding umbrellas, personal electronics (camcorders, cameras, laptops), books, magazines, documents. Get ready to spend, if you are carrying animals or musical instruments. They are carried only for the money and weigh them does not make sense. If you have fragile and valuable cargo, he will have to buy a separate seat in the cabin. While this ticket does not extend the established free baggage allowance Luggage.